All Christians want their children to study and learn their Bible Verses. 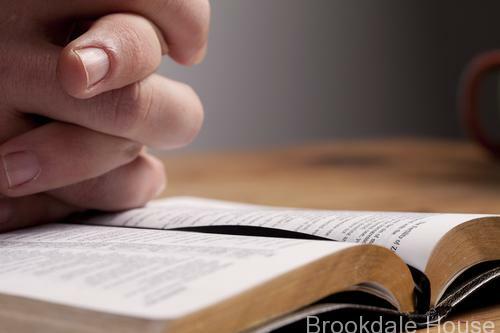 Bible verses are an important part of young child’s education; however, the Bible as an educational tool is often relegated to “Bible Study” time. We think that Scripture should be a part of our daily lives. In response to these words, we try to use Scripture as a source of educational materials for children. And one way we’ve done that is by using Bible Verses as a medium for Handwriting Practice. All children must learn to write. And there are several handwriting curricula available on the market, but most of them provide children with random, meaningless, disconnected words from which to learn. This isn’t so with the Bible Handwriting Practice Series. 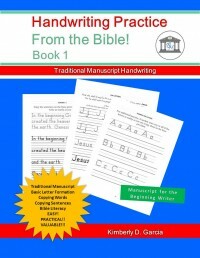 The Bible Handwriting Practice series is a 3 book series, designed to teach traditional manuscript handwriting to young students, using Bible verses as the source for the handwriting models. Handwriting Practice: From the Bible! Book 1 teaches students to write letters and numbers and guides them in writing Biblical words and short passages of Scripture. Frequently when the word Eden is used is literature, the author is making a Biblical allusion to the Garden of Eden. The same is true for many common Biblical terms. The benefit of using some of these terms as handwriting models is that students learn that the word being studied has literary meaning. Handwriting Practice: From the Bible! 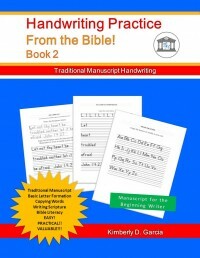 Book 2 reviews letter and number writing, and then teaches children to write short passages of Scripture that begin with that week’s letter of the alphabet. Book 2 has review lessons followed by 26 passages of Scripture, each beginning with a different letter of the alphabet. When studying the 26 passages, students practice writing the longer words form the passage on days 1, 2, and 3. On day 4, students write the entire passage as well as the chapter and verse reference. Handwriting Practice: From the Bible! Book 3 has the same format as book 2, but uses slightly longer passages as handwriting models. Also on day 4 students are guided to write the passages without the aid provided in book 2. 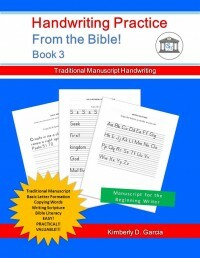 Bible Handwriting Practice E-Book Bundle–Books 1, 2, and 3!